Efforts by UO researchers to study how climate change may change Pacific Northwest grasslands have blossomed into global collaborations with two recently published reports, and a third is coming. The three studies focus on the ability of soils to continue to store excess carbon in the face of warming conditions. Studies at individual research sites have produced mixed results, but the new findings may help to change the scientific understanding. In a Yale University-led study, published in the journal Nature, researchers report that warming may drive a huge loss of carbon from the soil by 2050, with greatest losses in high-latitude ecosystems with large soil carbon stores. The projected loss of more than 55 trillion kilograms, the researchers reported, would be up to 17 percent higher than current forecasted emissions from human sources. In a second study, led by the Marine Biological Laboratory at Woods Hole, Massachusetts, researchers concluded that increased respiration of carbon dioxide from plant roots and soil microbes due to warming continues for many years, in contrast to the results from site-specific studies. Soil respiration, they reported, increased with temperature to a threshold of approximately 77 degrees Fahrenheit. As a result, they determined, ecosystems in colder climates will be much more responsive to global warming because they will continue to remain below this threshold. The study published online in mid-November in the Proceedings of the National Academy of Sciences. The UO had four co-authors on the two papers: Scott Bridgham, a professor of biology and director of the Institute of Ecology and Evolution; Bart Johnson, professor and head of the Department of Landscape Architecture; Laurel Pfeifer-Meister, a research associate in the UO Institute of Ecology and Evolution; and biology doctoral student Lorien Reynolds. "For nearly a decade, a group of UO faculty and students have been using experimental approaches to understand the future of Pacific Northwest grasslands in light of climate change," Johnson said. "By comparing small plots of restored prairies under different temperature and precipitation regimes — from Southern Oregon to Central Washington — we have built a complex picture of how climate change may affect prairie ecosystem dynamics, from plants to soils and from above-ground to below-ground processes. "We've been able to join forces with scientists around the world to combine our experimental data sets," he said. "This effort lets us look closely at changes in soils to understand the global-scale impacts of how the loss of stored organic matter from soils under increased temperatures may fuel even greater increases to global temperatures." Because there is almost twice as much carbon in soils than in the atmosphere, Johnson said, losses of soil carbon may have very large feedbacks to global climate, and those feedbacks are poorly understood. Both papers are based on an analysis of soil carbon and soil respiration data from dozens of warming experiments conducted all over the world in the past 20 years. Both studies indicate that ecosystems at high latitudes that are currently very cold and contain vast stores of soil carbon are particularly vulnerable to climatic warming. “Soil carbon stores are greatest in places like the Arctic and the sub-Arctic, where the soil is cold and often frozen," said Thomas Crowther, lead author of the Nature article, who conducted the research while a postdoctoral fellow at the Yale School of Forestry & Environmental Studies. "In those conditions microbes are less active and so carbon has been allowed to build up over many centuries. But as you start to warm, the activities of those microbes increases, and that’s when the losses start to happen." 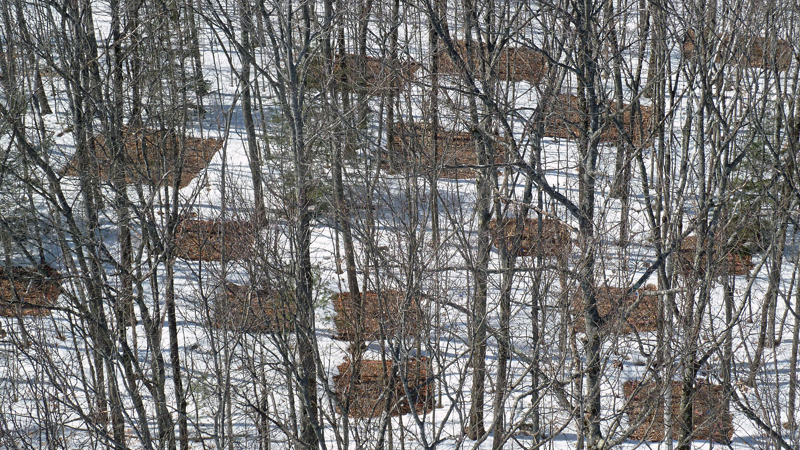 The study in Nature only addresses the soil carbon losses in response to warming. There are several other biological feedbacks like accelerated plant growth under elevated carbon dioxide that could dampen or enhance the effect of this soil carbon feedback. In a study soon to be published in Nature Communications, three UO researchers, led by Bridgham, were part of a collaborative effort that explored some of these same issues as they relate to the world's peatlands.